Another week has passed, and Tomoe keeps growing up. Well, she’s still a baby, but a lot can happen in a week. She’s continuing to smile. She smiles a lot now, especially when I talk. It seems that whenever I’m talking to my wife or to her, she watches me intently and smiles quite often. But she’s not all smiles these days. It appears that she may be suffering from gas on occasion. Tonight, she’s been good, but for the previous two nights, she’s been extremely fussy. She’d drink only a little, then refuse to have any more. We’d put her down for a while, then she’d start crying again, because she was still hungry. She continued doing this all day both days. I did manage to get her to smile in the middle, though. I told her “You smell like old milk,” and she just gave me a very big smile. I said it again, and she smiled again. After about 5 times of smiling, she started crying. Feeding time again! Her skin continues to be quite dry at times, often looking red. 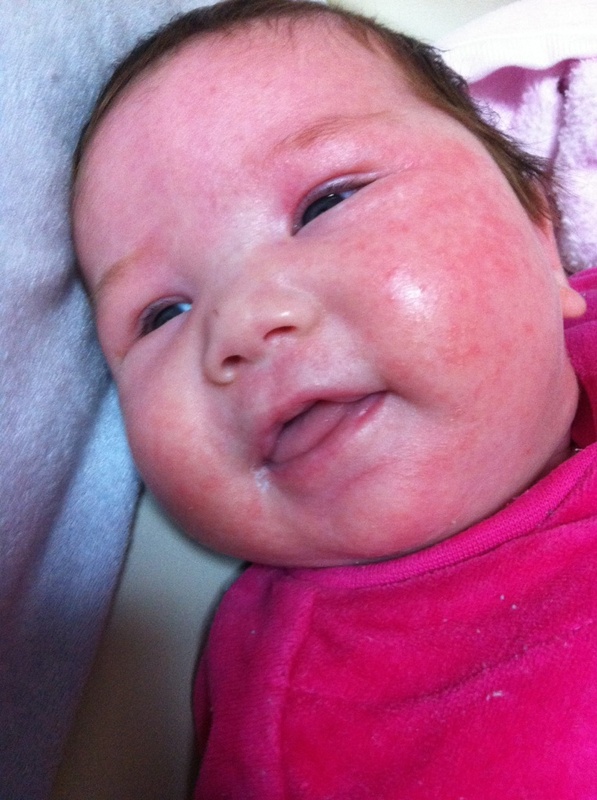 The following picture of a smiling Tomoe shows how her skin can get red and dry. She's smiling a lot now! I wanted to post this 2 days ago on her 7 week “birthday,” but we had internet problems. There’s a lot to update about her. Where do I start? Her sleeping habits have been getting more regular. By that, I mean that she sleeps at night and is often wide awake a lot of the day. Unfortunately for my wife, this sometimes involves crying. She only stops when she holds her. A little separation anxiety? She’s been sleeping 6 or 7 hours at night without waking up for feeding. That’s giving us a much better sleep at night! She’s also been having drinks other than milk and formula. She tried water and didn’t dislike it. She’s also had some barley tea, which she seems to like. So far, she doesn’t seem very picky about flavours. Tomoe loves going outside these days. She often watches everything going by with a lot of interest. She’s very calm outside. So calm that she often falls asleep due to the walking motion. She had her first bus ride last night. She seems to enjoy traveling by car or bus. Her facial expressions have become very expressive lately. 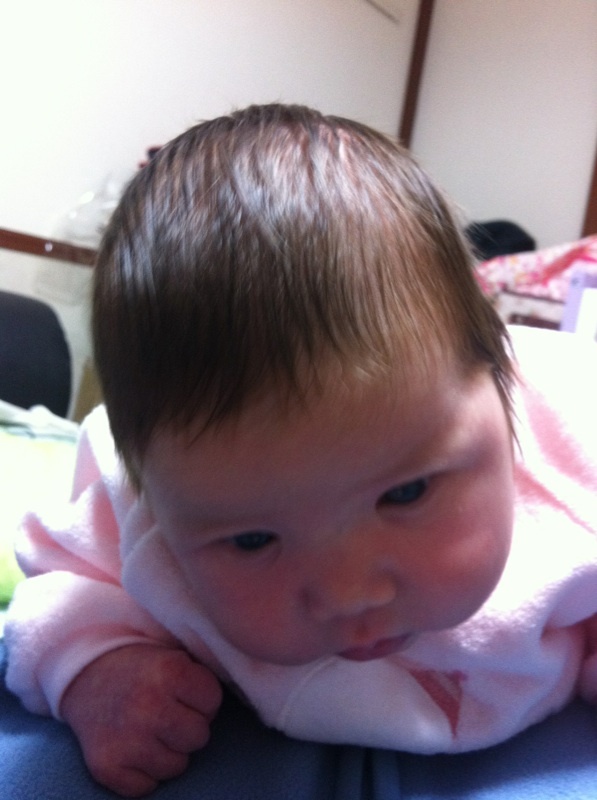 She’s showing her emotions quite a bit more now, and the best faces are when she’s interested in something or happy. Yes, she’s started smiling! I’ve found it quite difficult to get her smiling pictures, though. The morning she started smiling, just 2 days ago, I couldn’t catch her on camera, but I got a partial smile. This morning, she gave a huge smile, but again, I wasn’t ready to take a picture. I got a smaller smile, though. So, enjoy her smile! This picture was taken two days ago. Almost a smile! This morning, I managed to finally get her smile. But she's had bigger smiles. For my regular readers, something a little different. Please read this and this. 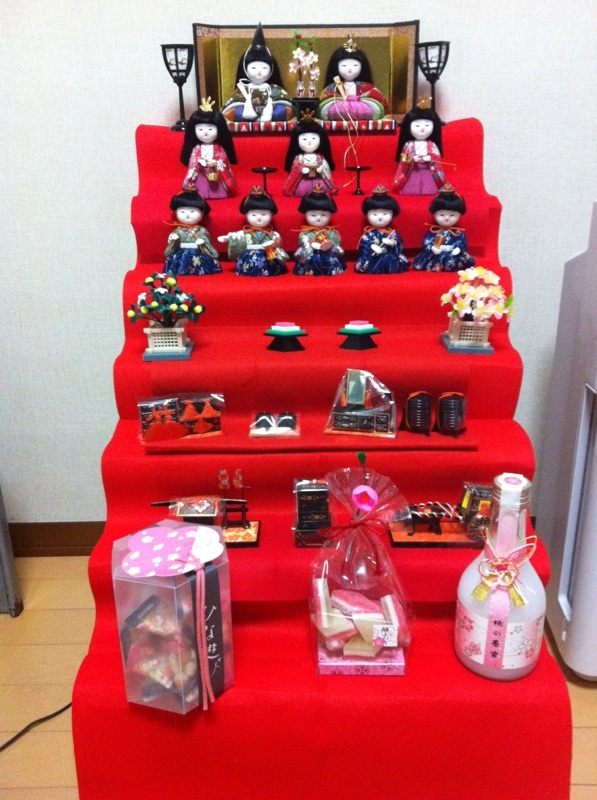 March 3rd was Hina Matsuri, or the Doll Festival (also known as Girls’ Day). 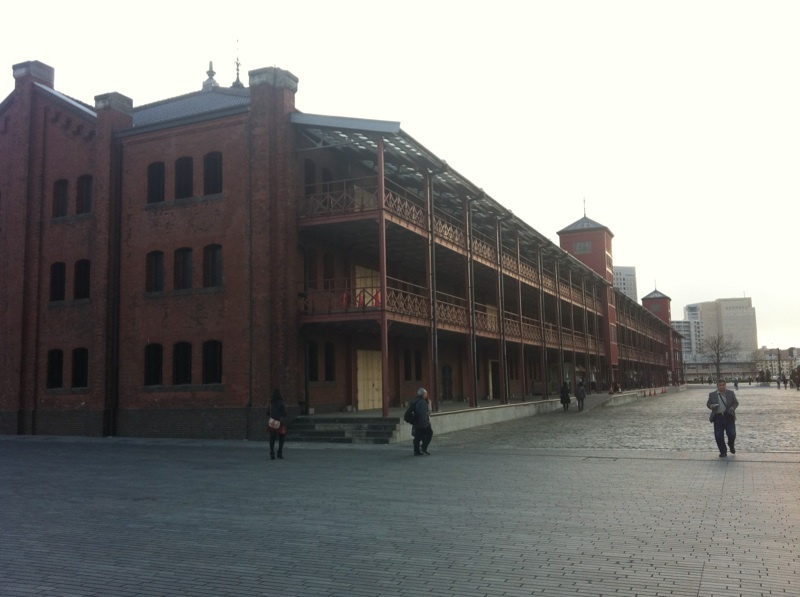 I made a blog post about it on my Japan blog. Normally, a Hina Doll set is set up in late February, then taken down right after the festival. We kept our display up until the 5th, though. There’s a superstition that says if you keep the display up beyond the 4th, the daughter will marry late. Well, we kept it up until the 5th so we could celebrate it with my wife’s parents and sister. Unfortunately, my wife’s dad couldn’t come today. Only her mom and sister came. We were all supposed to have a family photo done with Tomoe, but since he couldn’t come, we changed our plans. We still went to get our photos done, though. So, my wife, Tomoe and I took a taxi to Tsujido’s Terrace Mall Shonan in the rain, where we went to Studio Alice. On the way there, Tomoe stared out the window, fascinated by everything moving past. When we went through a tunnel, her eyes opened widely. 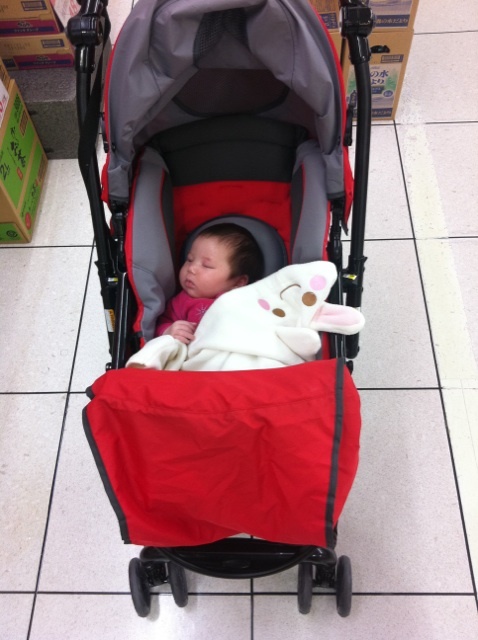 We finally arrived at the mall, and she’d fallen asleep. We found the studio, which specializes in children’s photos, and got prepared. Tomoe slept before her picture was taken. I took this picture before realising that I wasn't supposed to take pictures in the studio. I could take video, though. We picked out a couple of outfits for Tomoe to wear. One is a white dress with light pink flowers, and the other is a pink kimono. Many photos were taken of Tomoe by herself, but my wife and I joined her for one set of photos. It was quite funny watching her show very little interest in the photographer or camera, and she looked away a lot. I won’t be posting any of the photos on here, as they’re professionally done, and they own the copyright. Besides, they’re personal. Once we were done, we went shopping, and all 5 of us returned to our apartment. We had a great meal of sushi, roast beef, and several other foods. After that, my mother-in-law dismantled the Hina Doll set. My wife has since drunk the bottle of peach juice, which she said is a lot like Calpis. We ate some of the snacks that we had displayed with the Hina Doll set. Pretty sweet. It was a pretty busy day for us. Tomoe has been sleeping most of the time since. 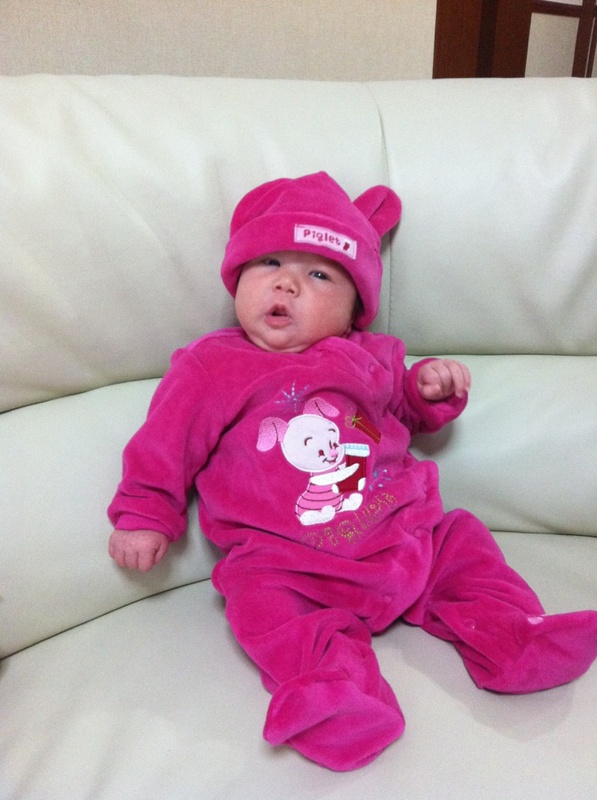 It was her first visit to a shopping mall, and the farthest she’s been from home. 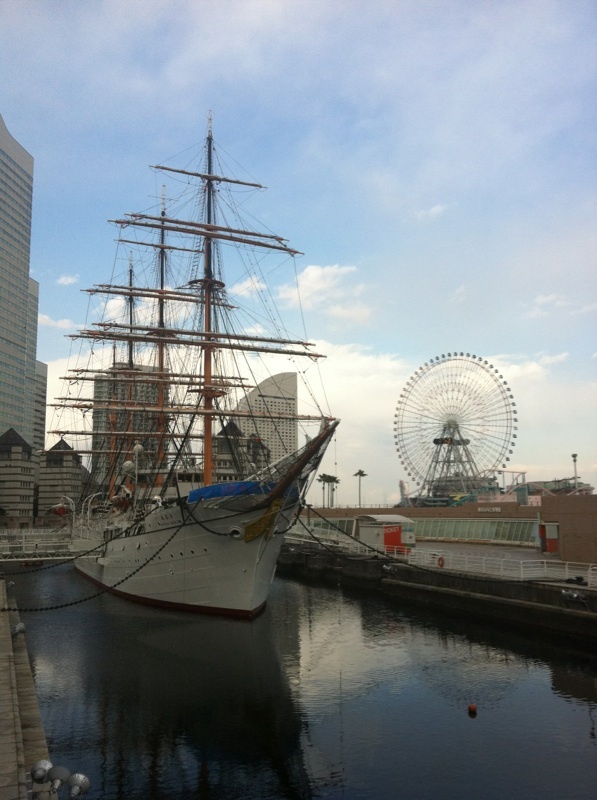 Just wait until we go to Saitama later this month. It’ll probably be her first train ride. 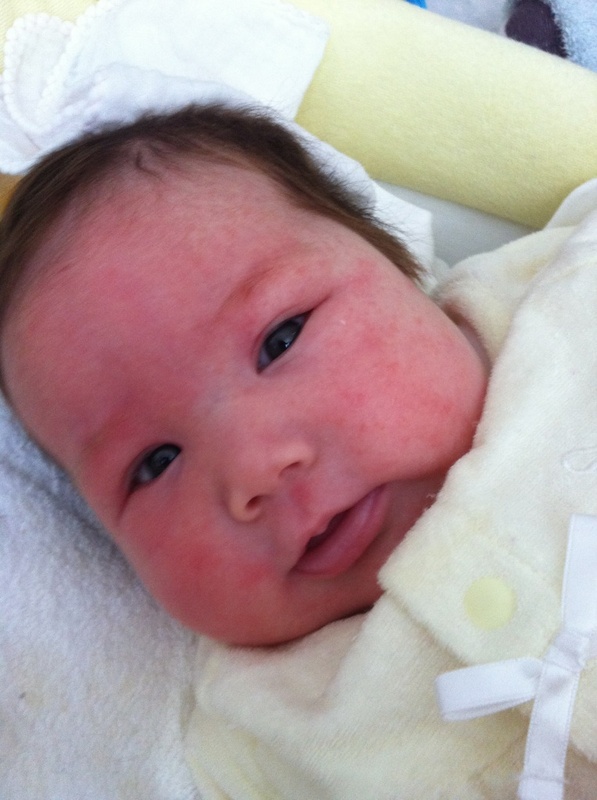 Since Tomoe’s 1 month “birthday,” she passed a big test. 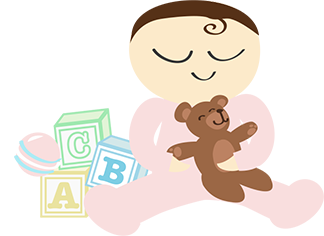 I’ve been reading that babies should have some tummy time, spending some time on their stomach to help exercise their neck muscles. Well, I gave her a test, and she passed with flying colours! Her neck has become strong. She can lift her head while she's on her stomach. In this picture, she's actually on my chest. She maintained this position for more than a minute. 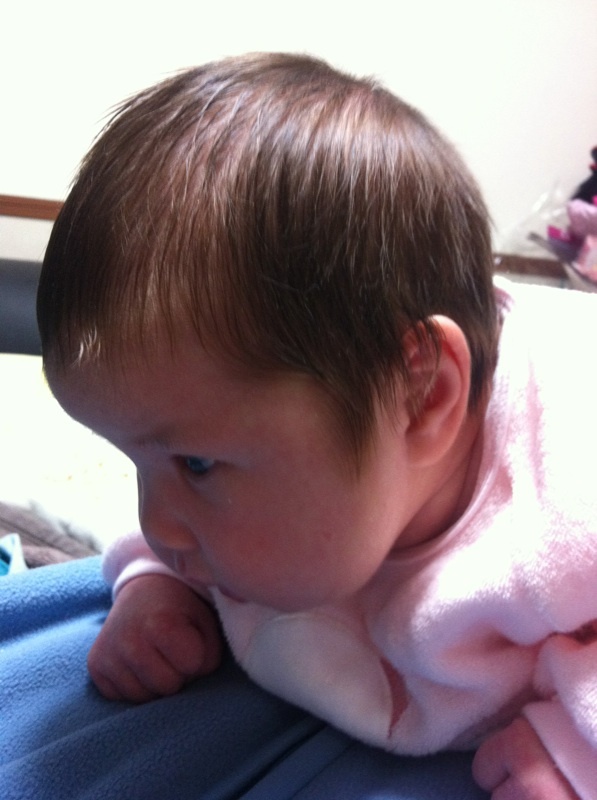 Not only is her neck getting stronger, but she can hold her head up when she’s being held vertically. However, it’s not strong enough to prevent her head from falling backwards. But she’ll be able to hold her head up well soon enough. We’ve been going out with her more often, though she usually falls asleep in our arms while we walk. Here’s a picture of her before we went out a couple days ago. She got dressed up for us to go shopping. My mom bought this outfit for Tomoe. 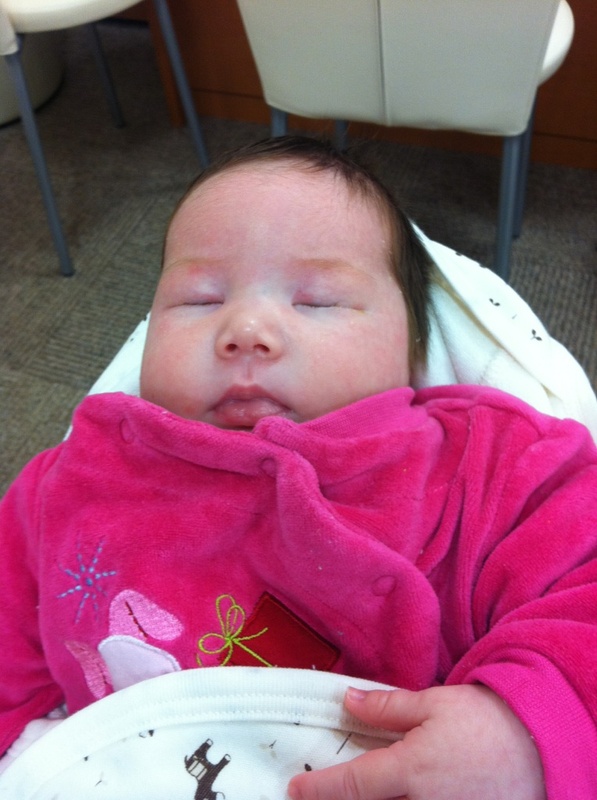 Today (February 29th), she went to the clinic for her one month checkup. She’s very healthy, and we have an update on her growth. 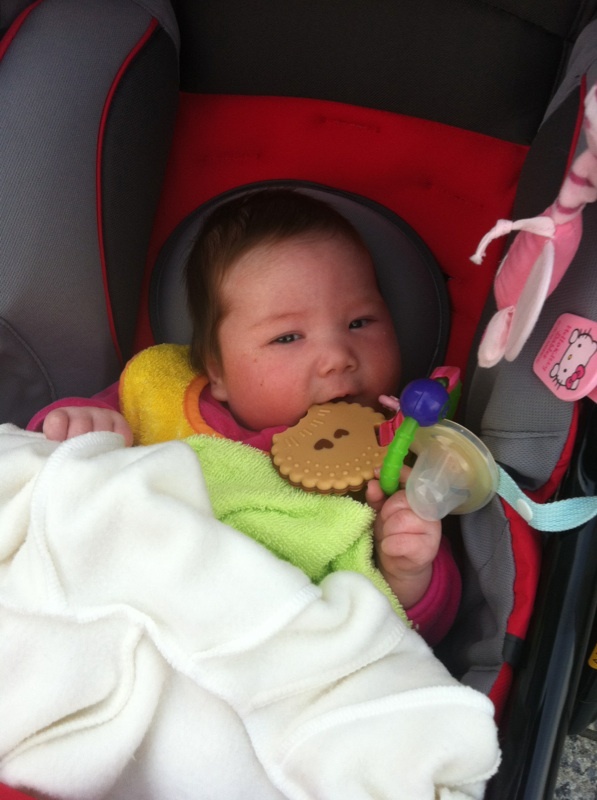 She’s now 4270 grams and 55 cm long. 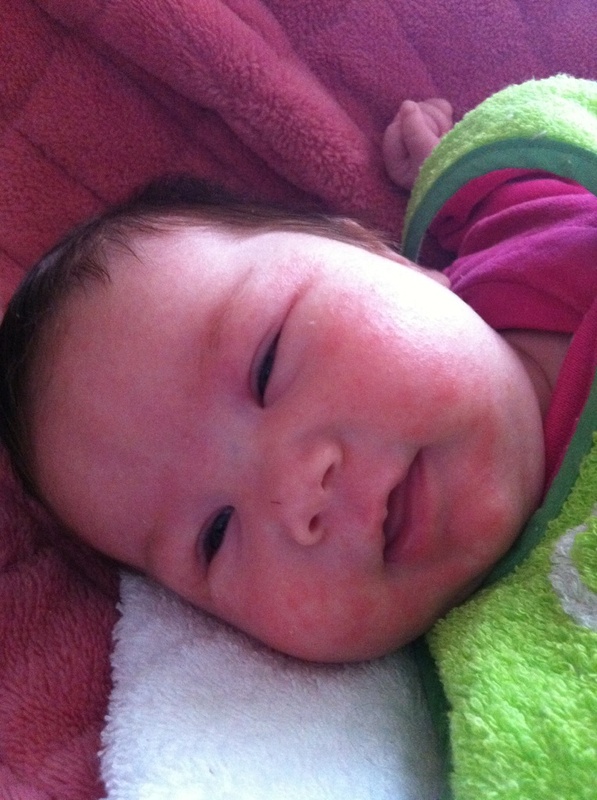 The doctor gave my wife the green light for her and Tomoe to have a bath!